For the second time in less than a week, users of the popular end-to-end encrypted Signal messaging app have to update their desktop applications once again to patch another severe code injection vulnerability. Discovered Monday by the same team of security researchers, the newly discovered vulnerability poses the same threat as the previous one, allowing remote attackers to inject malicious code on the recipients' Signal desktop app just by sending them a message—without requiring any user interaction. To understand more about the first code injection vulnerability (CVE-2018-10994), you can read our previous article covering how researchers find the Signal flaw and how it works. The only difference between the two is that the previous flaw resides in the function that handles links shared in the chat, whereas the new vulnerability (CVE-2018-11101) exists in a different function that handles the validation of quoted messages, i.e., quoting a previous message in a reply. If the victim receives this quoted message containing the malicious payload on its vulnerable Signal desktop app, it will automatically execute the payload, without requiring any user interaction. Until now the proof-of-concept payloads used to demonstrate code injection vulnerabilities in Signal were limited to embedding an HTML iFrame, or image/video/audio tags onto the victim's desktop app. However, researchers have now managed to craft a new PoC exploit that could allow remote attackers to successfully steal all Signal conversations of the victims in the plaintext just by sending them a message. 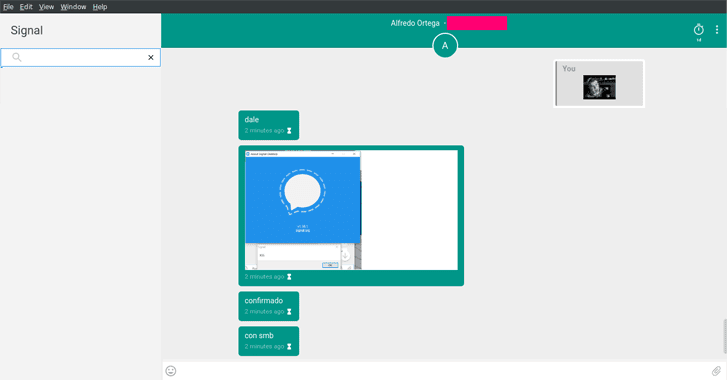 This hack literally defeats the purpose of an end-to-end encrypted messaging app, allowing remote attackers to easily get the hold on users' plain-text conversations without breaking the encryption. In their blog post, the researchers also indicated that an attacker could even include files from a remote SMB share using an HTML iFrame, which can be abused to steal NTLMv2 hashed password for Windows users. Though they haven't claimed anything about this form of attack, I speculate that if an attacker can exploit code injection to force Windows OS to initiate an automatic authentication with the attacker-controlled SMB server using single sign-on, it would eventually hand over victim's username, and NTLMv2 hashed password to the attackers, potentially allowing them to gain access to the victim's system. We have seen how the same attack technique was recently exploited using a vulnerability in Microsoft Outlook, disclosed last month. I can not verify this claim at this moment, but we are in contact with few security researchers to confirm this. 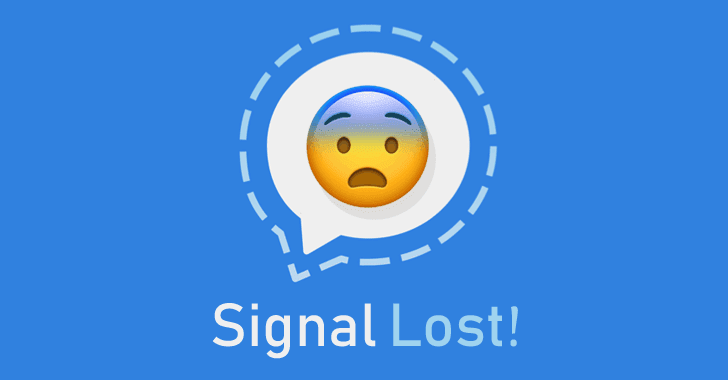 Researchers—Iván Ariel Barrera Oro, Alfredo Ortega, Juliano Rizzo, and Matt Bryant—responsibly reported the vulnerability to Signal, and its developers have patched the vulnerability with the release of Signal desktop version 1.11.0 for Windows, macOS, and Linux users. However, The Hacker News has learned that Signal developers had already identified this issue as part of a comprehensive fix to the first vulnerability before the researchers found it and reported them. Signal app has an auto-update mechanism, so most users must have the update already installed. You can read this guide to ensure if you are running updated version of Signal. And if you don’t, you should immediately update your Signal for desktop as soon as possible, since now the vulnerability poses a severe risk of getting your secret conversations exposed in plaintext to attackers and further severe consequences.